If she were alive today, Efua Sutherland would be chalking up her 94th birthday. For the good folks at the Mmofra Foundation it is a day, an anniversary, a life to celebrate. Sutherland was a truly remarkable woman. 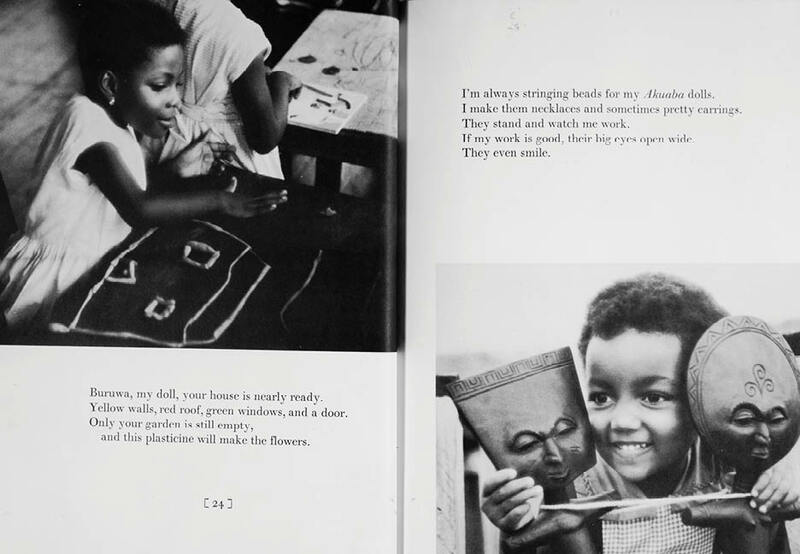 In 1950s Accra, Ghana she was a beacon of light extolling the benefits of play and helping to create public spaces where play could flourish. 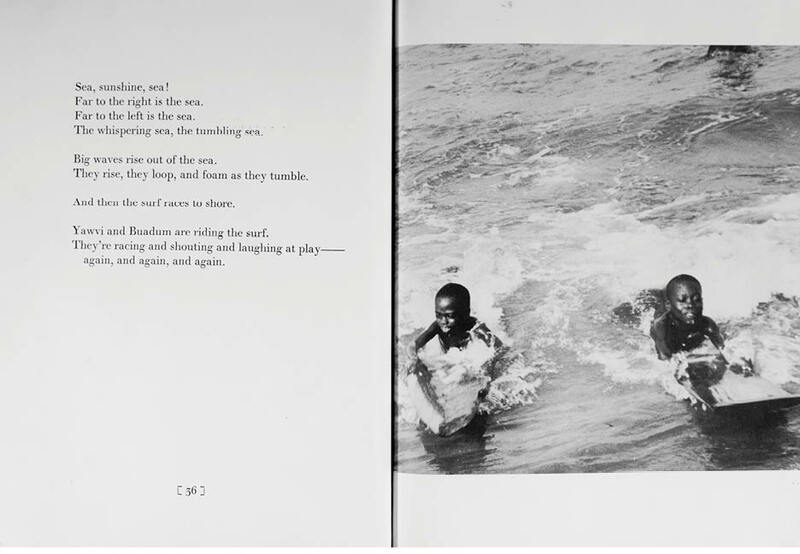 With photographer Willis E. Bell, she published Playtime in Africa. 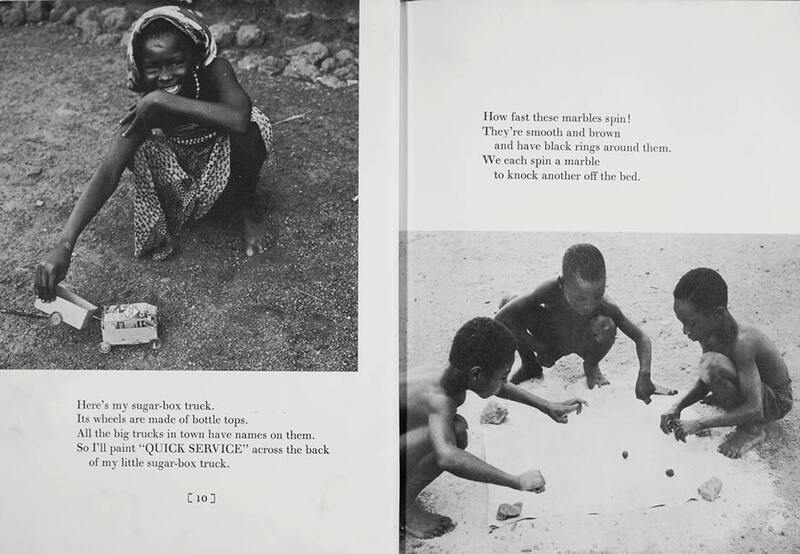 This was the first real documentation of children’s play in the newly independent African nation. Efua Sutherland’s pioneering work with play and children in Ghana lives today through the work of the Mmofra Foundation and its partners. Sutherland’s advocacy for play was first shared with me six years ago by her daughter Amowi Phillips. In concert with the Mmofra Foundation Phillips is honouring and drawing on her mother’s good work in the spirit of sankofa – keeping what is of value from the past. 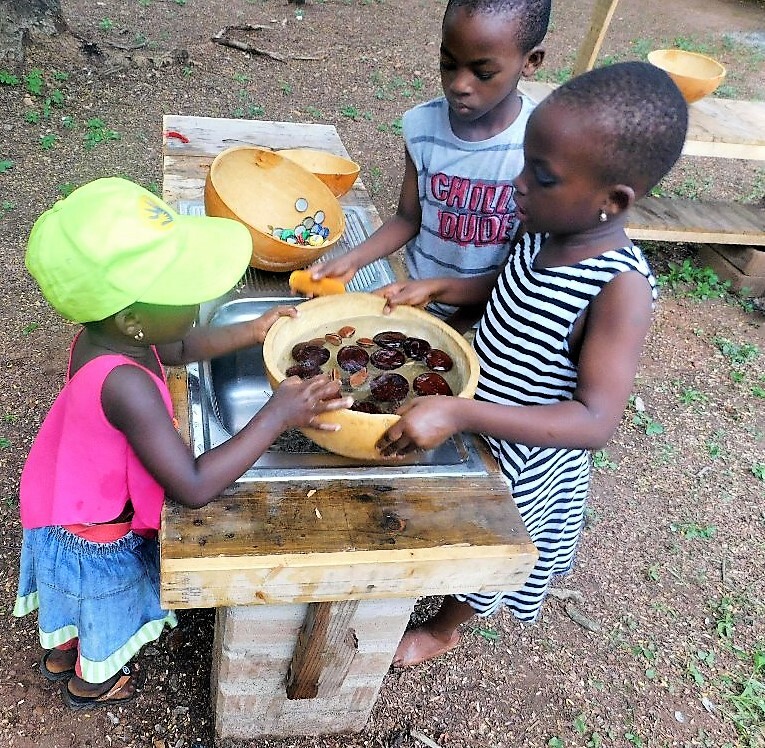 Mmofra continues to develop a natural play space in the heart of Accra. This week, Phillips sent PlayGroundology a selection of photos and an update asking us to share some of their successes. – a site for experimenting with outdoor play prototypes. We often use materials like salvaged wood, calabashes, repurposed inexpensive market goods. 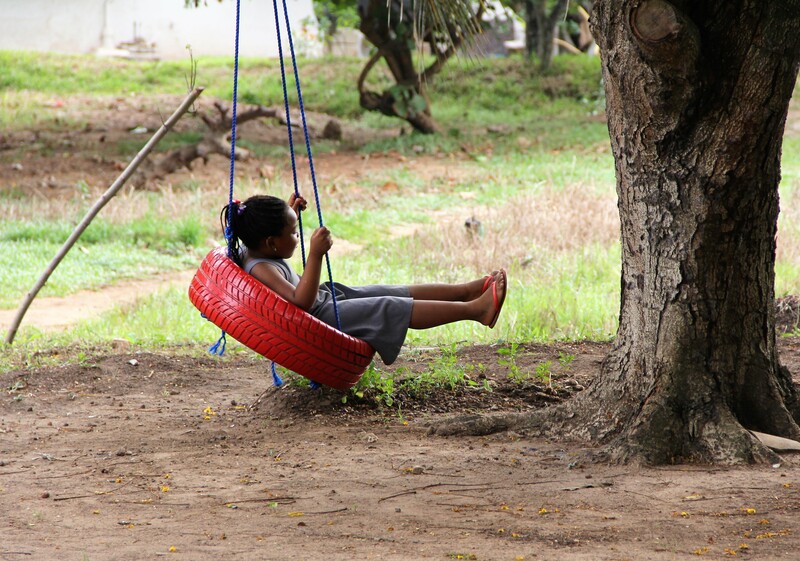 – a green space open to children of all backgrounds and abilities – still one of very few in Accra. “We’ve had hands-on climate education exhibitions, community builds using local materials, blood drives, reading events, cultural festivals, R&R for families with a disabled child and more. Mmofra Place is still going strong and remains a beacon for kids’ play. All the best to those in Accra and throughout the diaspora who remember, honour and are inspired by a woman whose accomplishments continue to resonate today. Sutherland was an untiring ambassador for play, an advocate emphasizing its importance in developing young minds and bodies. Her life of service established her as a cultural icon within Ghana and brought her work to the attention of a broader international audience. Thanks to the Mmofra Foundation and all the fine work they do building on Efua Sutherland’s traditions. Two acres of green space in the Dzorwulu neighbourhood of Accra, Ghana are being primed for transformation. It’s all about the kids, or Mmofra as they are called in Ghana’s Akan language. This story, about a small plot of land, spans decades, continents and generations. It’s the story of a woman’s vision, of her love for children. 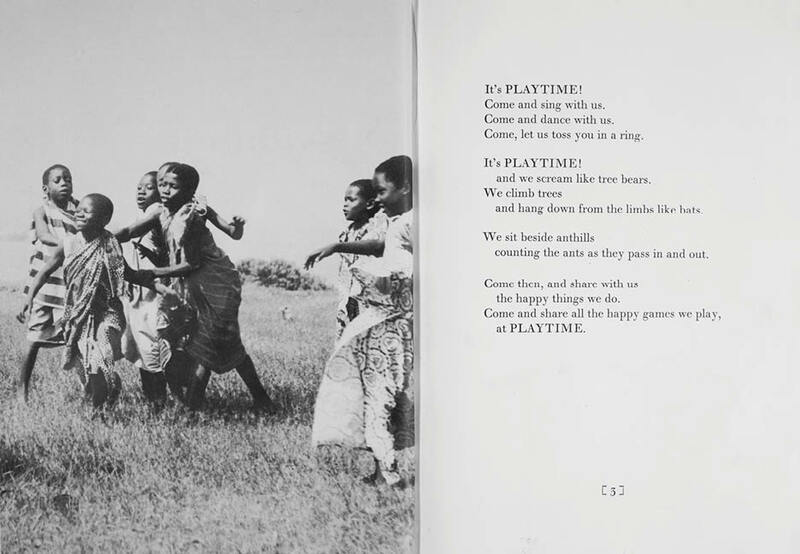 The seeds were sown 50 years ago when the late Efua Sutherland wrote her groundbreaking book on Ghana’s play culture, Playtime in Africa. 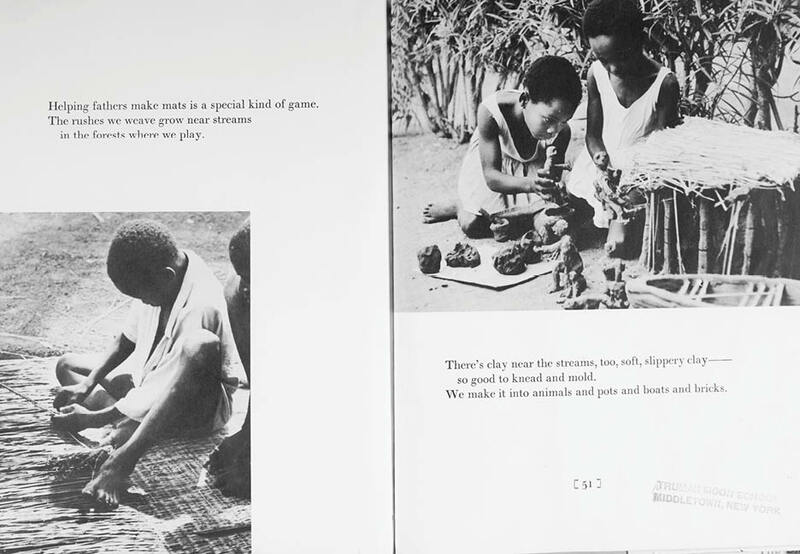 The narrative and accompanying photographs by Willis E. Bell were the first real documentation of children’s play in the newly independent African nation. Sutherland was part of a post colonial cultural renaissance, a storyteller, an educator, a playwright and a community builder. Bell, an ex-patriated American, was in the process of establishing himself as a leading documentary photographer in the country. His work is considered to be an important part of Ghana’s visual arts culture. From Playtime in Africa – Courtesy Mmofra Foundation. Click photo for larger image. Sutherland was also an untiring ambassador for play, an advocate emphasizing its importance in developing young minds and bodies. Her life of service established her as a cultural icon within Ghana and brought her work to the attention of a broader international audience: there is an Efua Sutherlandstraat in Amsterdam. On her retirement in the 1990’s she set the groundwork establishing Mmofra Foundation to continue her advocacy for children. Now fast forward – time and space shift. Amowi Phillips is an adjunct professor at Whitworth University in Spokane, Washington. She is seven time zones and half a lifetime removed from this same plot of land where she played as a child. She is one of Efua Sutherland’s three children, a volunteer board member of the Mmofra Foundation, president of a newly formed partner organization, Friends of Mmofra, in Washington State, USA and one of the kids captured forever young in Playtime in Africa. 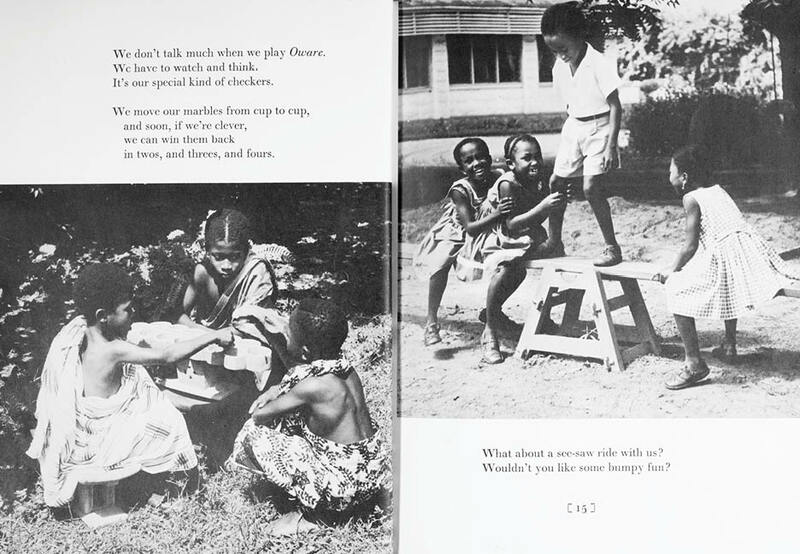 Fifty years ago Playtime in Africa introduced this very rich, nuanced play culture of Ghana to the world. That really bears some sharing. It’s a reminder of the sankofa principle – keeping what is of value from the past. Phillips, her two siblings Esi and Ralph, and the Foundation, are helping to lead the charge to create a public natural play space for children on this two acre plot that fuelled so many happy memories from their own childhood. They are uniquely qualified to do so. Ralph will be the principal architect, and Esi, an international consultant on education and a professor of African Studies, is the executive director of Mmofra Foundation. They hope the project will serve as a prototype to encourage child-centered spaces in Ghana’s cities. In the 1980s, the forward-thinking Efua Sutherland conceptualized park-library complexes throughout the country. Pilots were built at the village and city levels, but were allowed over time to fall into disrepair and ruin. If we are able to galvanize public advocacy for a thoughtfully designed child-friendly green core in central Accra, it will be a fresh start. 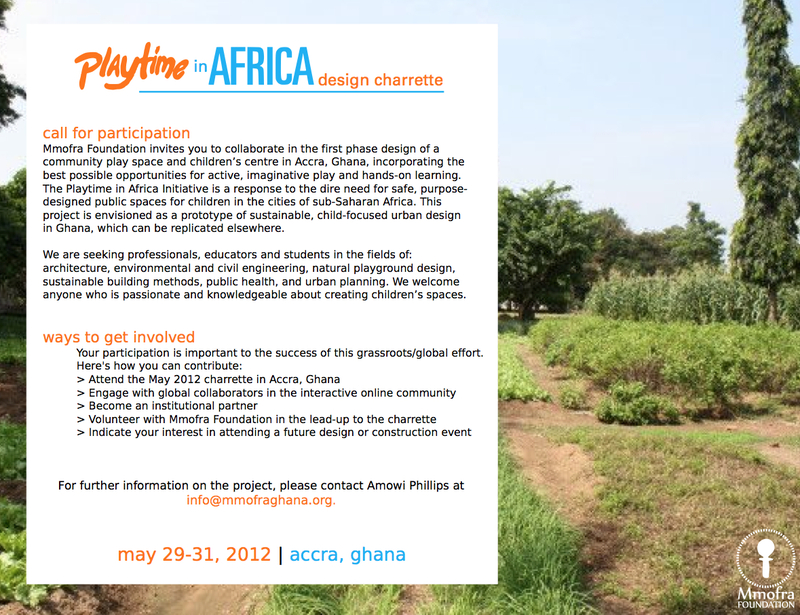 At the end of May, the Foundation is organizing a design charrette on site in Accra’s Dzorwulu neighbourhood. This is the next big step in re-imagining the use of the land, in creating a space for play. Community stakeholders, designers, architects, indigenous knowledge specialists and elders, landscape architects, planners and politicians are being invited to participate. Architecture for Humanity has encouraged the project. “Our concept is very much about inscribing the culture of Ghana into the landscape, enhanced by elements adapted from other parts of the world. We’ll have to see what happens on the ground,” says Phillips. The three siblings will participate in the charrette injecting their passion for play and for children into a place that was once their own land of daily adventure. Another important consideration for the Foundation is to design a space in such a way that people can take elements of it and reproduce them in their own neighbourhoods. “We want to be intentional about creating room where children can develop their imagination and creativity,” continues Phillips. Through their work, the Foundation is finding out about similar projects in other parts of Africa such as South Sudan and Sénégal. 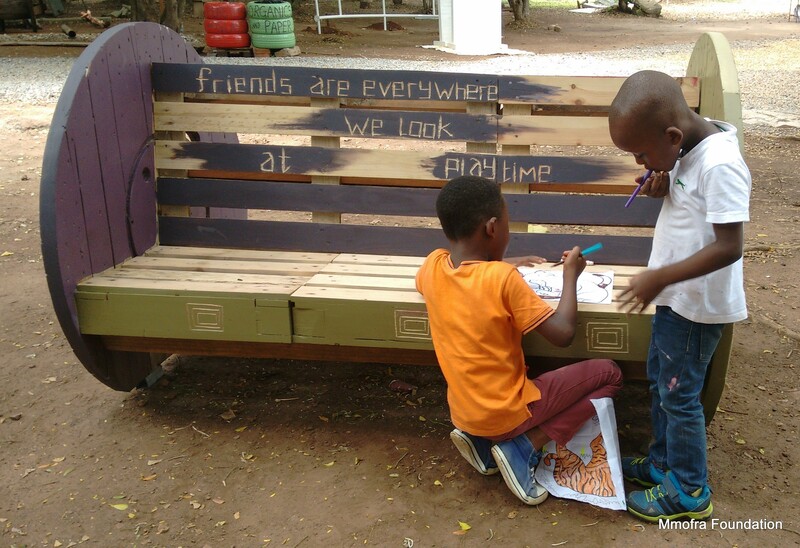 For Phillips, it’s time for Africa to be part of the global conversation about spaces for imaginative play and discovery and she sees herself as a connector, having brought together an international coalition of people who are passionate about play around this project. An online search for a children’s parks or museums yields very little between Cairo and Cape Town. Without environments where children can imagine a better future, dependency can really become entrenched. Playtime in Africa from the land of Anansi stories, adinkra patterns and kente cloth. As with so many things in life – nsa baako nkura adesoa – one hand cannot lift a heavy load. To participate in the development of this playspace, contact Mmofra Foundation.